'The Brady Bunch' cast reveals the famous lines most often recited to them by fans. 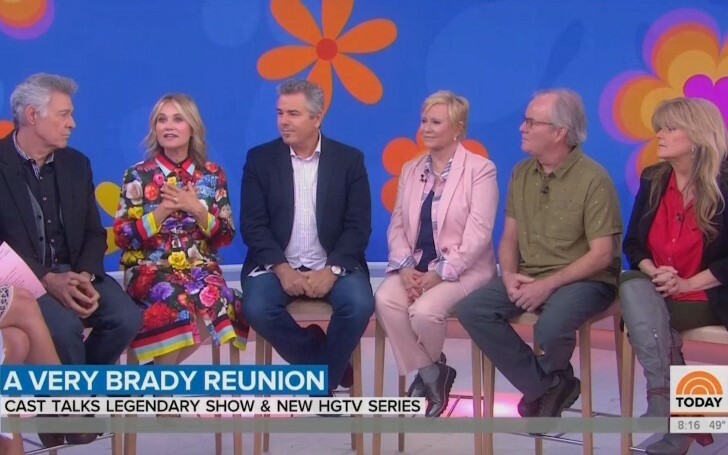 The Brady Bunch cast recently reunited to speak on their upcoming project, HGTV’s A Very Brady Renovation. The kids from the famous sitcom of the late 60s and the early 70s made their appearance on 'Today' to talk about their return to TV as a group. The entire cast, Barry Williams, Maureen McCormick, Christopher Knight, Eve Plumb, Mike Lookinland and Susan Olsen, all sat down together to discuss working on a TV project which they claim shall be the first time in 15 years. The actors will team up on the new show with a handful of HGTV stars to take the iconic house seen in The Brady Bunch opening credits. However, it was not actually used for the filming of the show. In addition, the inside is completely renovated to match the original set. This includes adding a second level to the one-story home. To gain utmost precision of the show's original set, rearranging rooms is not merely enough - there's a nationwide search to find set pieces to match the original decor of the house as well. "One of the nice things about the show will be the sentimentality of it, the nostalgia. Because when we’re going in the rooms, we’re reflecting on what happened and the scenes that we played. It’s flooded with memories." Recreating the original set is certainly a challenge for the cast, but the same can't be said for rehashing famous lines. It is, in fact, a daily occurrence as they interact with fans wherever they go. Also See: Any Snake In Your Life Or Someone Who Pissed You Off? This Website Will Text Game Of Thrones Spoilers To Your Friends! Each member of the cast revealed what line is said to them the most. Williams: "It’s a sunshine day." Knight: "Pork chops and applesauce." Plumb: "Here is your change ma’am." Lookinland: "Don’t play ball in the house." Olsen: "Get off my lawn." The show continues to live on through syndication to this day, even though it's been nearly 5 decades since it concluded its five seasons along with a handful of specials. It was definitely not easy finding their place in the real world as kids, but it goes without saying there are no regrets when it comes to being a part of something that had such an impact on popular culture. McCormick acknowledged, "Seriously, I just am so grateful to have been a part of that show that it's in so many people's hearts everywhere. And it makes people feel good. How lucky are we to have been a part of that?"